Thanks to this video I came across a collection of websites where you can listen in to audio ‘webcam’ versions of sounds coming in from various radio antenna. On some it’s conversations, on others weird and wonderful sounds. I don’t really understand what I’ve been looking at or listening to but heres a recording I made of one – it’s quite a pleasingly unearthly sound. 1. http://www.160m.net/ – it says my browser doesn’t support downloads… but it did. This one let me hear the Chiltern aviation beacon which signals the letters C, H and T (forever) in Morse code. Heard it one night on a detuned radio at home at my parents’ house a few years ago and have been a bit obsessed with tracking it ever since. This year I went to the marvellous Wilderness Festival for the first time, hopefully not the last. I absolutely loved it and when my 400 plus photos have finished uploading I’ll link to them below. One thing I did was pinch my friend Helen’s bat detector and listen intently after dusk near my campsite, which was very near a river and definitely had at least one bat flitting to and fro. In the recording below I was pointing the detector up, set at 55.7MHz, and could clearly see the small bat flying overhead. I’ve had the detector for a few months at home in London and completely failed to get a confirmed sighting and hearing (seen plenty of bats and not heard them but also heard plenty of bats and not seen them) but this worked perfectly. Given the frequency it’s likely that this is a Soprano Pipistrelle. The magnetic resonator piano (MRP) is an augmented instrument which places electromagnets inside an acoustic grand piano. The electromagnets cause the strings to vibrate without being struck with the hammers, creating notes that can sustain indefinitely, grow out of silence, or change in pitch or timbre. All sound is completely acoustic, with no speakers. The MRP is played from the piano keyboard using a combination of familiar and new techniques. The instrument uses a computer to translate key motion into signals for the electromagnets, but playing it, you wouldn’t know that a computer is involved: pressing the keys causes the strings to sound, just like on a normal piano. But unlike a normal piano, you can continuously shape the sound of each note, adding vibrato, pitch bends, harmonics and other novel effects. The result sounds like a combination of a piano, an organ and a glass harmonica. There will be a live demo of the MRP during the presentation, and it will be available after the talk for attendees to try for themselves. Andrew McPherson is a Reader in Digital Media at Queen Mary University of London. He is a member of the Centre for Digital Music (C4DM), a research group in the School of Electronic Engineering and Computer Science which explores the overlap between music and computing. Andrew completed a Master’s degree in electrical engineering from the Massachusetts Institute of Technology and a PhD in music composition from the University of Pennsylvania. Before joining QMUL in 2011, he was a postdoc in the Music Entertainment Technology Laboratory at Drexel University. His research covers digital and augmented instruments, embedded computing systems, and the study of performer instrument interaction. Since writing this post I’ve also written about how to capture voicemail recordings from someone who’s died and there are also apps such as RecordMeNow (BBC News article) or OnceIveGone (Daily Mail article) for people with terminal conditions, to help them leave audio or video memories for their kids. This recording was made a few years ago while I was in a hotel using iffy wifi to ‘phone’ my dad via Skype. I’d never heard Skype turn someone’s voice like this before and didn’t really know what to do, and couldn’t stop giggling (as is clear from the recording). Subsequent googling indicated that it had been due to some buffering error, but it always makes me laugh to hear it. My dad died yesterday so I suppose this is a bit ‘in memoriam’-y but let’s not be down in the dumps – he found it quite funny too. In the call he’s saying ‘hang up, hang up’, encouraging me to restart the conversation which we eventually did successfully. Just seen the most amazing tweet from James O’Brien (above) and there were some lovely touching responses about people ringing up the phones of people who’d died to listen to their voices on voicemail. After my dad died (5 Nov 2016) I found a recording of a voicemail message I had from him in June that year. He’d had some periods of ill health and I think making this recording was an insurance for me in case anything happened – I’d failed to think of doing the same for my mum sadly, who died in 2010. Dad did send further voicemail messages to me in the months before he died though I deleted them. There was one on my landline after he died but I was too miserable to sort anything out in terms of recording that one and sadly with time the messsage also passed beyond the point of recovery. So I’m glad I have this. He’s telling me about the London to Penzance overnight sleeper train – there was a BBC Four programme on about it (he often rang to tell me about things he thought I’d enjoy watching on television or on the radio). I went on the train in 2015, it was lovely. He sounds Scottish, and curiously a bit more high-pitched than his voice was in real life, he had a fairly deep voice most of the time, but it still sounds like him. He usually called me darling, though he didn’t here. I quite like that the recording sounds a bit ‘grainy’. It’s just me holding my iPhone next to the landline speaker and recording on the voice memo app. 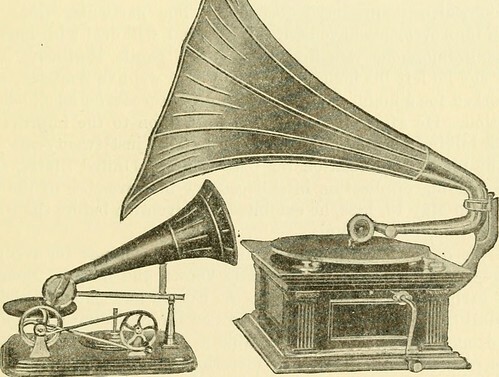 I know the m4a file won’t change but I like to think that it will gradually degrade with each listen and eventually fade away (here is a lovely event I went to, where we heard voice recordings from decades and even a century ago – Edison wax cyclinders). Ditto. In fact one of my favourite pieces of music from Star Trek The Next Generation is definitely missing the lovely engine sounds (and the sounds of Wesley Crusher snoozing as his nanites escape) in S301 – Evolution (below) that were present in the broadcast version (which keeps being taken down!). Music by Ron Jones (who’s also done a lot of work on Family Guy / American Dad). I had an unintentionally free trip on the Emirates Air-line (cable car / dangleway) this morning. For future reference it’s cheaper if you have a travelcard (mine’s annual 1-3 so I got the return trip for £7 instead of £9) although I think they’ve stopped the discount for local residents who had a Greenwich or Newham card. It’s a lovely relaxing trip – I don’t really think of it as a journey, more a fairground ride with the option to get off at the other side and have some noodles or a mooch around the eco centre. I highly recommend it as a fun thing to do in London. Sadly they’ve started blasting out music in the passenger-loading area (the bit where you get onto or alight from the cable car pods). Nothing particularly wrong with the music (I heard Tiny Dancer and something from Stevie Wonder) but it’s really quite loud and unnecessary. I know some underground stations have music (often classical) playing in the background but it’s usually not deafening, though I could do without it. Apparently on the underground it’s to deter teenagers (!) but I’ve no idea what it’s deterring at the Emirates Air-Line. Commuters probably. About a year ago the cable cars introduced an in-car/pod/cabin audio commentary but at least they advertised the fact that you could ask for your pod to be quiet. Incidentally, this turned out to be a fairly good way to get an emptier cabin during busy periods as most people seemed to want the audio, or at least didn’t care, but I was shunted into a nice silent empty one after letting a couple of people go ahead of me. Today I asked for the same – no audio – but I was really annoyed once the doors shut to realise that I was going to suffer bloody awful piped library music for the duration of the short journey. On repeat loop. Dear god. While I appreciate that there are worse things in the world to worry about I’m afraid I lost my temper and demanded a refund and a guarantee of silence on the return journey. The staff were extremely efficient, understanding and helpful, promptly refunding me, providing me with a free return ticket, apologising for the annoyance and checking mid-dangle on my return journey that the cabin was indeed quiet (it was, lovely). Why is there loud music at the start and end of the journey? Why is there quieter music during the journey. Neither improved my experience, the silence was appreciated. It’s a real shame that it’s currently quite hard to hear the lovely hypnotic sound of the cablecar’s bullwheel (the massive rotating wheels at either end that push the cables around and around, and across the river). I remember the first time I heard it, shortly after the cable cars opened, when I walked towards the North Greenwich terminal and heard this amazing whum-whum-whum sound emanating. Also as the cable cars leave the terminal they make a nice little trundling noise as they ‘go over the points’ or whatever it’s called when they ‘take off’ and pass over some small wheels. Dear Emirates – please shush the music, it’s unnecessary – thanks. Also they’ve a massive Rolls Royce engine at the North Greenwich cable-car station. It would be paired with three others and hung from a very, very large aircraft. I don’t know which type of Rolls Royce engine it was but a quick google tells me that the Rolls Royce Trent 800 series (used on a Boeing 777 for example) has a diameter of about 9 feet. The fuselage of a Boeing 737 is just a little larger than that at 11+ feet. Not being a fan of opera I’ve never paid attention to the Royal Opera House’s website but fortunately @schrokit does and found this gem of a talk on Tuesday evening. This talk seems like it was precisely calibrated to be very suitable for me, alas I can’t actually go – but at least I know I need to pay more attention to ROH! I see from the link below that the event will be filmed so fingers crossed I’ll be able to catch it later. I’m not sure if Prof Trevor Cox is speaking at this event but his book (Sonic Wonderland: a scientific odyssey of sound) is rather good fun. The text below was pinched and edited from psci-com, a mailing list for science communicators and people whose work involves ‘public engagement with science’. A major focus of this season will be contemporary science. They are therefore keen to hear from any researchers, academics or scientists with links to audio and sound. If you are interested in working with us, have content relating to sound or any exciting ideas in this area, please contact Iain (iain.hendry@sciencemuseum.ac.uk). He will then happily provide you with an overview and answer any question you may have about fees and budget.